Who can resist the incredible lure of winning big returns on the money almost immediately? Gambling can be a heady temptation that can have you completely hooked! However, it is a double-edged sword that can also end up hurting you if not handled responsibly. Here are some handy tips for gambling responsibly. Online gambling or casino sites often offer players the option of having their accounts disabled or locked. 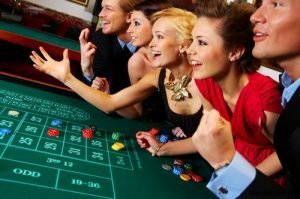 If you think the temptation to gamble beyond your means is gaining momentum, simply contact the site and ask them to lock your account from making any further deposits. It is best to take this step when you feel like you aren’t really in control of your gambling needs or that you are wagering an amount you can’t risk losing. Gambling should be a fun pursuit and not about winning some money here and there. The moment it ceases to be fun and starts making you nervous or anxious is the time you should stop. Any feeling of stress or nervousness is a red flag, and your clue to stop immediately. As a thumb rule, bet/gamble only an amount that you can do without. Much like anything done compulsively, gambling can also quickly transform into an addiction. There are several organisations that step forward and offer gambling addicts multiple tools, resources, and guidance for overcoming their addiction. Some of these organisations include gamblersanonymous.org and gamcare.org.uk. Set stringent limits for the amount of time and money you use for gambling. If you’re playing at an online casino, select an option that doesn’t allow you to wager beyond a given limit. Never bet/gamble money that is kept aside for other important purposes in the hope of winning back more and paying it off. It may never happen.